Finally, we decided to turn south and head for the coast and the wild Atlantic waves that crash into Cabo de Sao Vicente. Realising we wouldn’t make it in a day we headed towards Mertola, where we planned to spend the night. 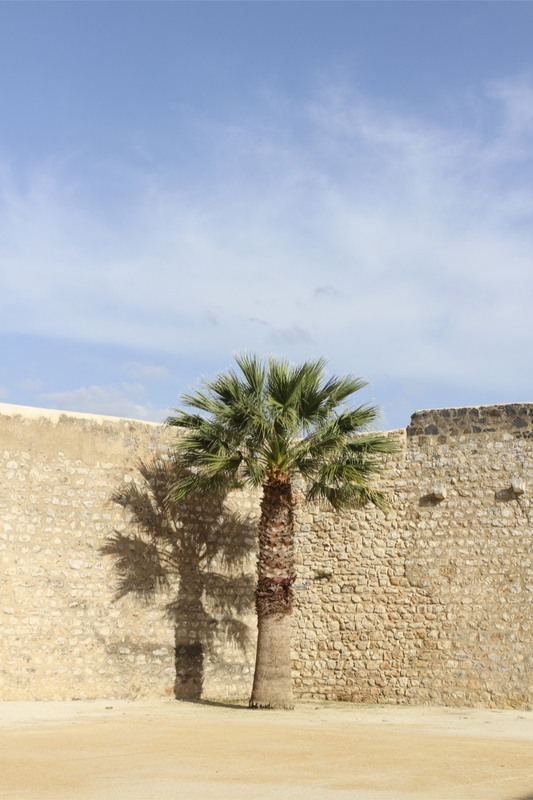 After a few hours driving we suddenly came across the wonderful sight of a large fortified town with massive defensive walls. 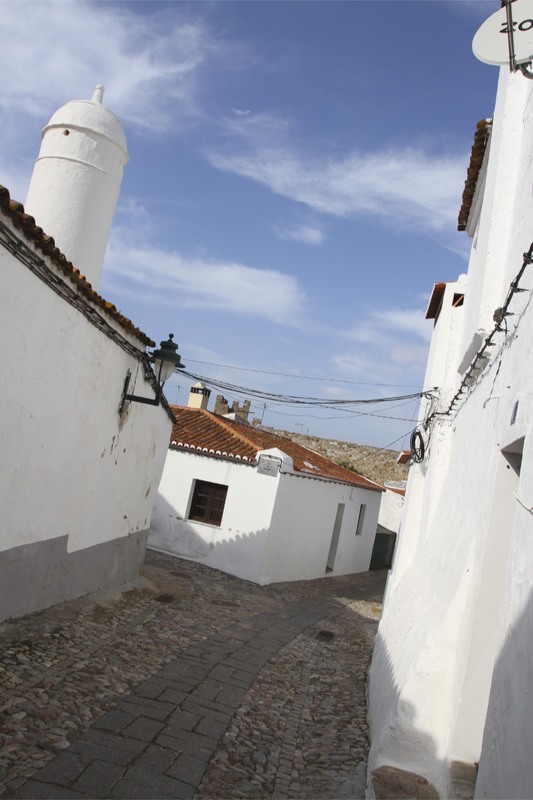 We’d arrived at Serpa. We decided it looked too tempting to bypass and headed into the centre to explore. 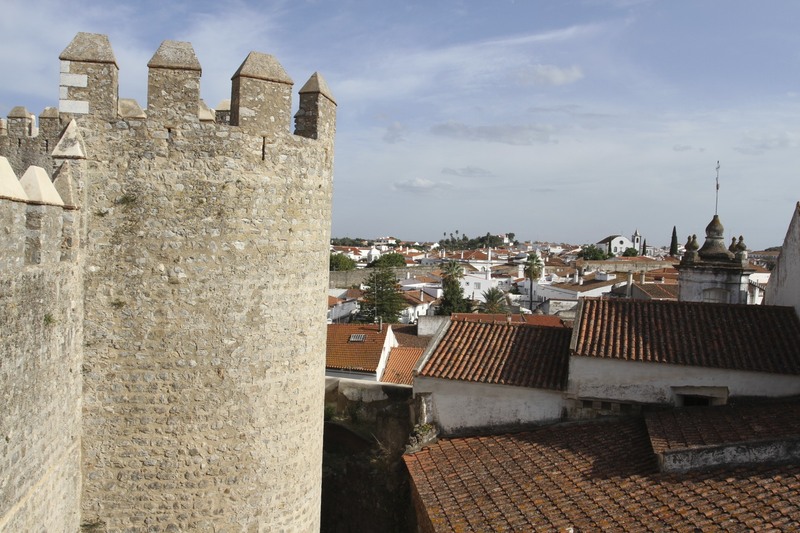 After driving down some of the narrowest streets in Portugal, and doubling back upon ourselves three or four times, we eventually passed through an ancient arched entrance in the town walls and parked in a square just a few minutes walk from the castle. 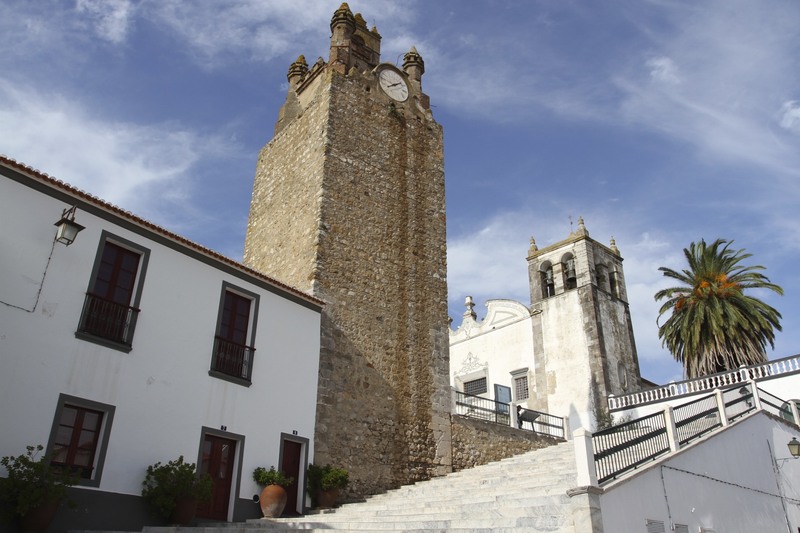 If most towns in this region of Portugal are pretty sleepy, Serpa barely has a pulse. Although it was late afternoon when we arrived, the sun was still fierce and we barely saw a single living thing on the streets. 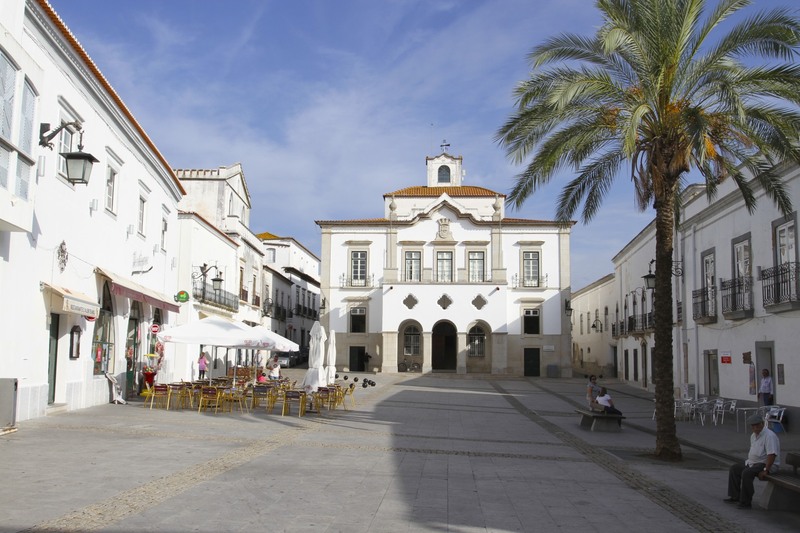 Even when we found our way into the town’s central square, Serpa’s beating heart, there was only a handful of people sitting at shady tables outside the pleasant cafes. We ordered some iced tea and relaxed in the shade of an umbrella while nothing much happened in the Praca de Republica. 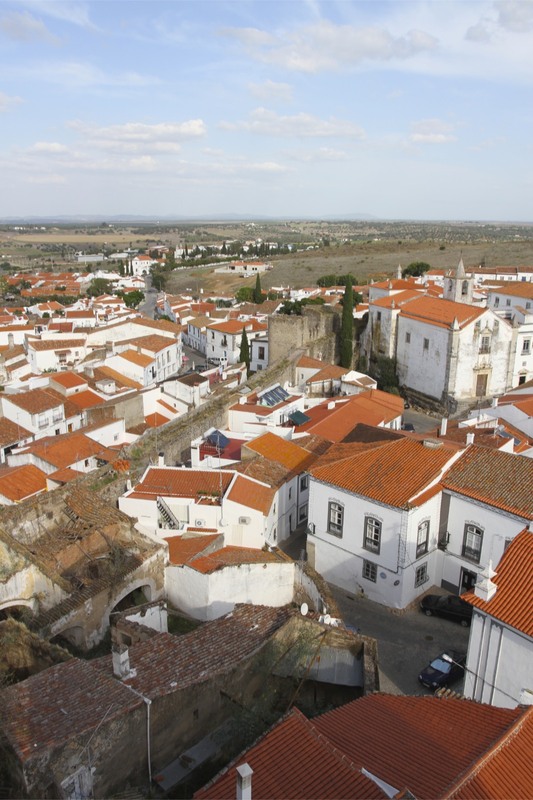 I think it would be fair to say that if you wanted to get away from it all and have a traditional Alentejo experience, without ever bumping into another tourist, Serpa should be high on your list of places to visit. 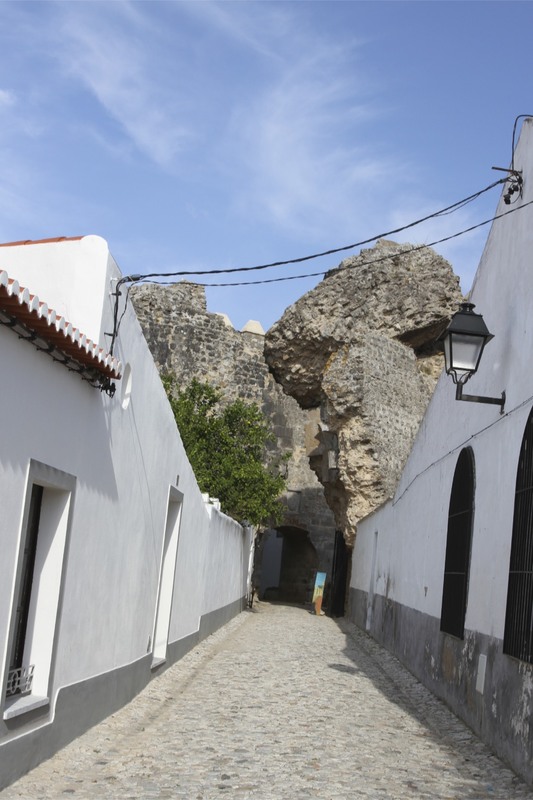 Refreshed and in the mood to explore we walked through the atmospheric cobbled streets before arriving at the castle. 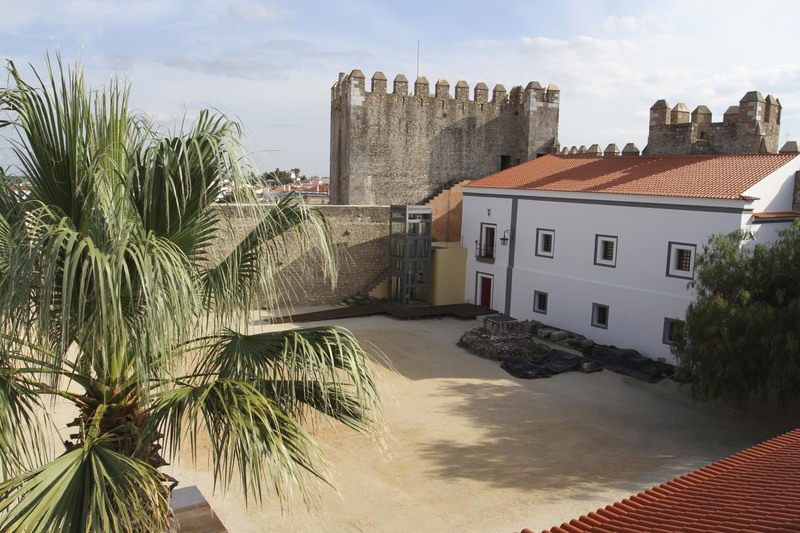 The picturesque church was closed – much like the rest of the town – but the newly renovated castle was proudly open. Someone has spent quite a bit of money turning the castle into more of a tourist attraction, but I suspect Serpa isn’t going to be on the beaten track any time soon. 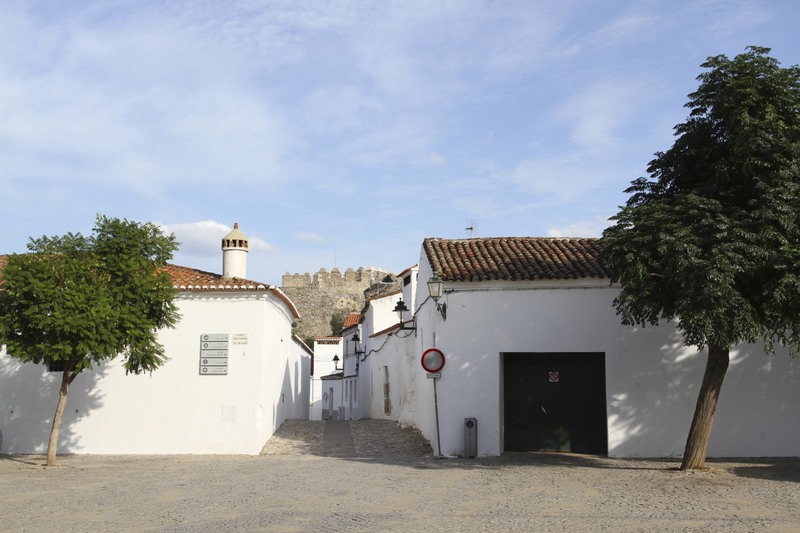 The castle has Moorish origins but the building you see today owes its existence to the proximity of the Spanish border – this was a frontier town. Entrance into the castle is through a dramatic piece of ancient wall that has collapsed and now forms a rather unstable-looking arch. 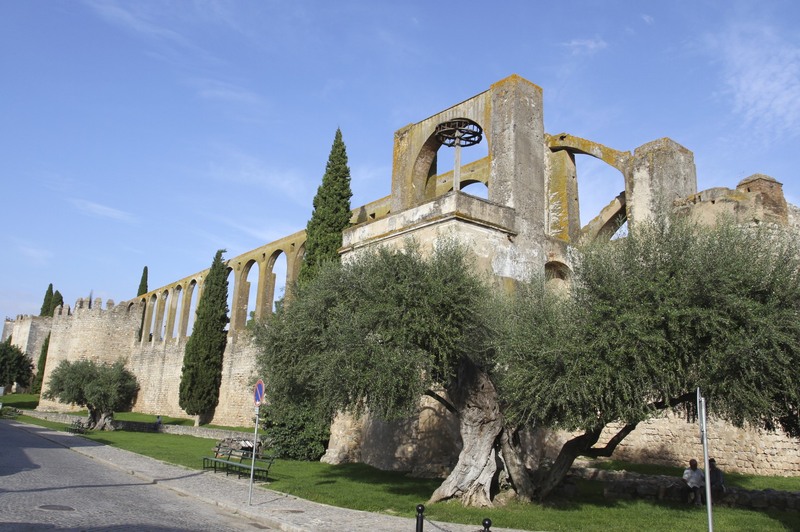 This is proof that things weren’t always so sleepy in Serpa – the damage was caused by a Spanish assault on the town in 1707. The views from the castle are lovely, red roofs glowing in the sun. 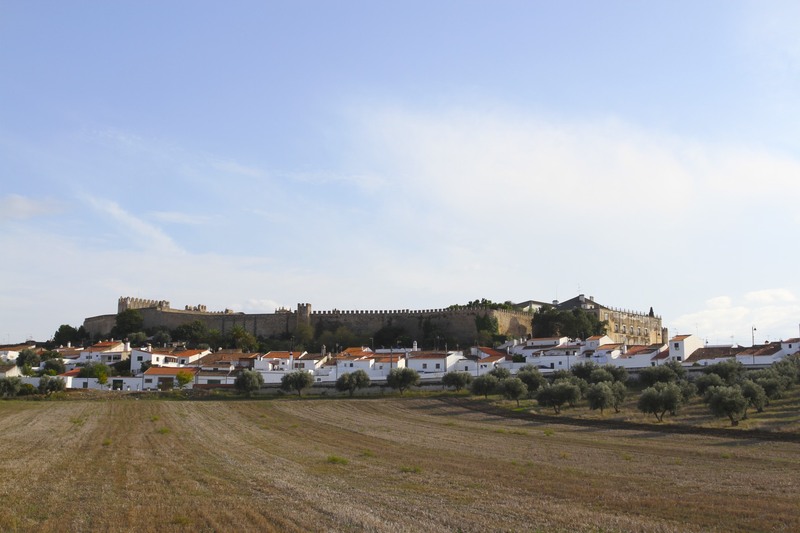 Serpa is renowned for the quality of its sheep milk cheeses and I’d hoped to sample some; unfortunately we drew a blank finding any shops that were either open or sold cheese and decided we should get going to Mertola. 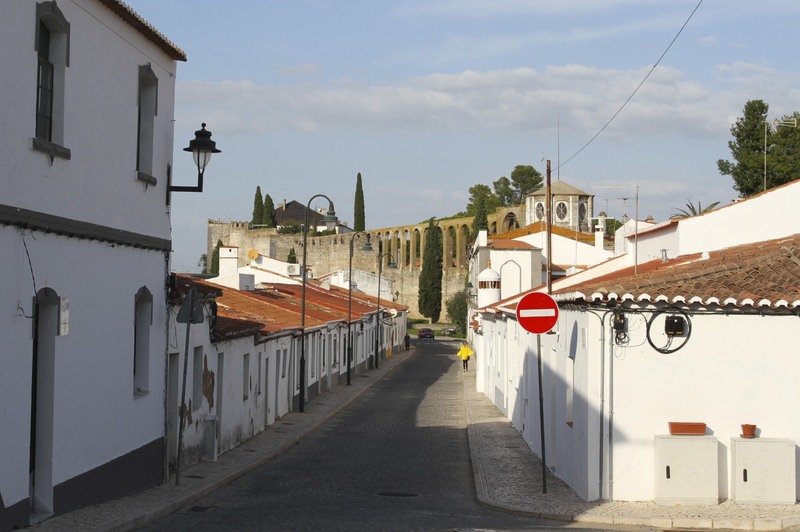 It was only on the way out of town that we stumbled upon one of Serpa’s wonders, an 11th Century aqueduct. Found on the west side of town just outside the walls are the truly impressive remains of the aqueduct. 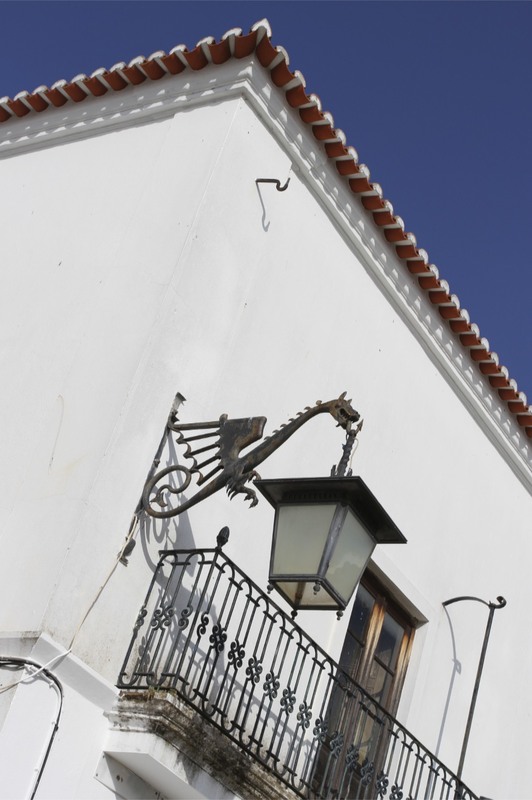 They come complete with a 17th Century wheel pump which was used for pumping water to the Palacio dos Condes de Fichalo. The grand arches of the aqueduct are beautiful, which makes it all the more surprising that the town doesn’t make any fuss about it. More evidence of the laid back approach to life.